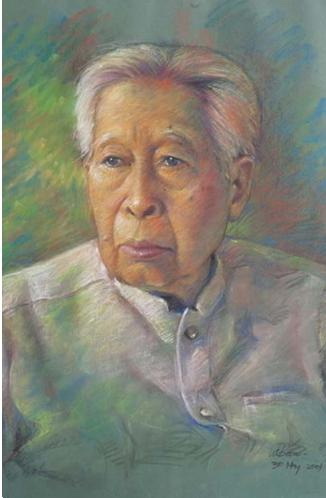 Dr. Sem Pringpuangkeo was a pioneer in rural health care and as time passed by, he laid a strong foundation forThailand’s medical and health care development and reform. Dr. Sem is recognized as a dedicated mentor and educator. In addition to the role of rural doctor and good father, Dr. Sem is a pioneer and creator. He has been instrumental in fostering medical and public health administration that paved the way for the country’s further development. He pushed for several public health development projects, including the establishment of provincial hospital nationwide and nursing schools, aimed at producing nurses to work in the rural areas. One of his outstanding masterpieces is the rollout of a blood bank initiative in 1950, a mark of the level of acceptance and respect that he engendered among peers and people. Dr. Sem was named deputy health minister and stayed in the position until 1975. He was public health minister from 1980 to 1983 and was pivotal force behind the national health care reform of integrated illness prevention and treatment services, in which the health care structure is still being used today. In his eighties, Dr. Sem played an active role in providing guidelines as advisor to several non-profit organizations and agencies, including the Rural Medical Foundation, Folk Doctor Foundation and Thai Medicine Development Foundation, to name but a few. He has been involved in nurturing the Children Foundation to help children with nutrition deficiency in remote nd rural communities. Following the severe spread of AIDS in Thailand since 1989, it has been reported that many thousands of HIV infected people and AIDS patients are dying, making a significant impact on Thai families and society. Approximately 100,000 Thais have subsequently died of AIDS, with almost half of these coming from the six upper northern provinces of the country, i.e. Chiang Mai, Chiang Rai, Lamphun, Lampang, Phayao and Mae Hong Son. A large number of those infected by AIDS are of working ages. Many of them have just started their families and have young children. Once the parent lose their lives to AIDS, the burden of raising these children usually fall on their grandparents or other relatives, who have far below standard incomes as well as having children of their own. Becoming aware of this situation after his tenure as Minister of Public Health from 1980-2, Dr Sem Pringpuangkeo set up his Foundation and launched the Foster Parents Program in 1995. With the assistance of outside contributions such as Toyota Thailand Foundation, they realised they could create a better quality life for these children and give them educational opportunities to enable them to be more productive members of Thai society in the future. It should be noted that the Foundation is non-political and non-religious, apart from reinforcing on the children their own family religious values.